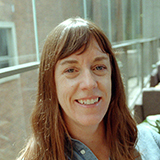 Dr. Katie Meehan is a new faculty member at King’s Geography and an expert in household water insecurity, urban infrastructure, and water governance and policy in Latin America and the USA. She directs the Plumbing Poverty project, a new research initiative that explores the intersectional nature of infrastructure, space, and social inequality, with a focus on domestic water provision. In a recent article published by the Annals of the American Association of Geographers, Meehan and her team explore the social geography of domestic water provision in the USA and expose its racialized, classed, and political nature. In the USA, nearly 1.5 million people lack complete household plumbing (the presence of piped water and sewerage). Just 14% of households without complete plumbing are ‘trailers’ or mobile homes. This phenomenon is neither socially nor spatially random. Across all households, accounting for income and housing type, Native American households are 3.7 times more likely to lack piped water service; Black and Hispanic (Latinx) households are 1.2 times more likely. Meehan’s article begins to map the failure of public policy and local state institutions to provide equal life opportunity in the United States, one of the wealthiest countries in the world. This entry was posted in Research by Nathalie Richards. Bookmark the permalink.